Professional photographs depict children learning and having fun, and throughout the website visitors can find all the information they need about this Shrewsbury-based school – Ofsted/DfE requirements for school websites have clearly been met. Mereside CE Primary School is an example of a School Jotter 2 website that is stylish and fun yet is very functional and informative. You can find out more about how School Jotter 2 can bring your school to life online by getting in touch here. 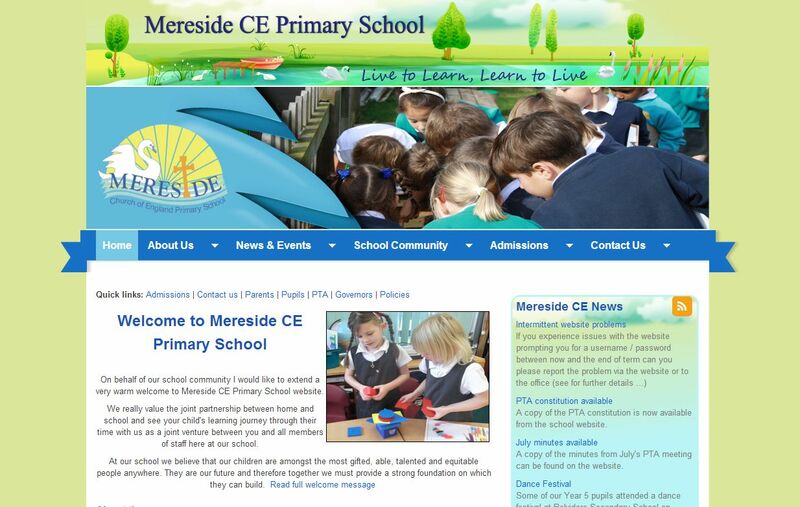 To take a look at Mereside CE Primary School’s website click here.